You are a part of the greatest story ever told. Here is that story. Do you know the gospel that you proclaim with Christianity? God created humankind in complete connection with him in the Garden of Eden. However, Adam and Eve were deceived by Satan to sin against God. This sin caused a separation between God and humanity, and humanity became cursed. From that point, all of their descendants, including us, were born with a sinful nature, in a state of separation from God. Romans 3:23 says, "For all have sinned and fallen short of the glory of God." God is perfection. We must be made perfect again to be in his presence, otherwise we would be consumed by his very nature. Our sin has condemned us and broken our path to eternal life. Because of sin, our default path is now death and condemnation in hell. Romans 6:23a says, "For the wages of sin is death." Humanity, at this point can try to bring about his own redemption by works, but those works will not stand up to God's perfect standard. Isaiah 64:6b says, "all our righteous deeds are like a polluted garment." The Hebrew text for "polluted garment" is actually talking about used feminine products. That it quite disgusting, and shows just how little effect our own attempts at righteousness are. So humankind is now in quite the predicament. The sinful nature has kept humanity in separation from God, but any attempt by people to bring about righteousness and perfection inevitably falls short. Humankind is utterly hopeless to save itself from damnation. "But God, being rich in mercy, because of the great love with which he loved us, even when we were dead in our trespasses, made us alive together with Christ—by grace you have been saved— and raised us up with him and seated us with him in the heavenly places in Christ Jesus, so that in the coming ages he might show the immeasurable riches of his grace in kindness toward us in Christ Jesus." (Ephesians 2:4-7) God, in an act of immeasurable love and grace, sent his son Jesus Christ, fully God and fully human, to live a perfect life and die in man's place. All throughout the Old Testament, the Law taught that a blood sacrifice must be made to atone for sins. This sacrifice had to be without blemish or impurity. Jesus came as that spotless sacrifice, not tainted by the sinful nature since he was born of the Holy Spirit through the virgin Mary. He suffered on the cross and died, paying the price for sins. There is, however, even greater news! Jesus did not just stay in the ground for man to figure out how to make it work. He rose from the dead after three days, appeared to many people, and then ascended into heaven glorified. "But in fact Christ has been raised from the dead, the firstfruits of those who have fallen asleep." 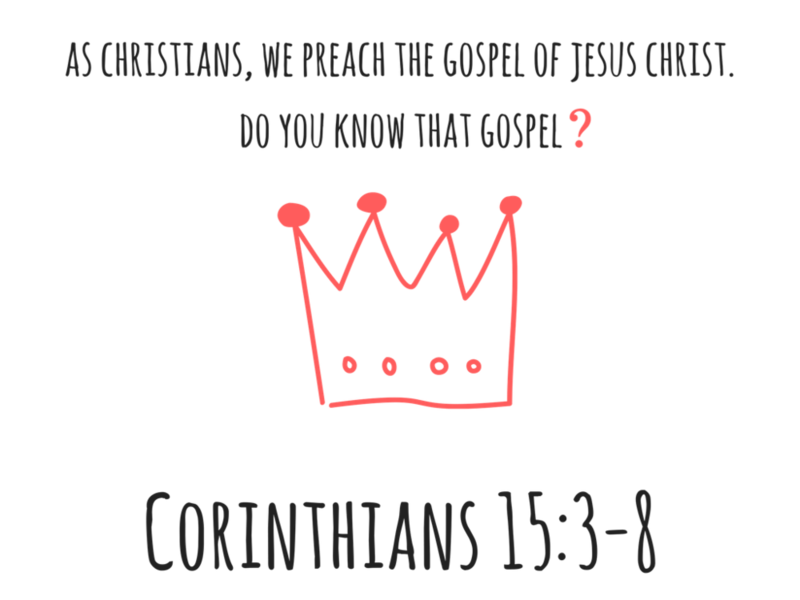 (1 Corinthians 15:20) Christ's rising from the dead foreshadows our own conquering of death, because we will never die if we are in Christ. "For God so loved the world that he sent his one and only son, that whoever believes in him shall not perish, but have everlasting life." (John 3:16) Yes, all people will die on this earth, but because of Jesus Christ, we no longer have to die a second, spiritual death and suffer eternity apart from God in hell. Even more so, because of this salvation, and because of the price for sin being paid, the relationship between God and man has been repaired, allowing for intimate relationship with him once again. All we must do is accept that Jesus Christ is who he says he is and did what he said he did, and accept his free gift of grace. Then we will enter into eternal relationship with him, unencumbered by the weight of sin. Lastly, Jesus is coming back! In Revelation 22:20, Jesus says, "Surely I am coming soon." When he returns, he will bring God's Kingdom completely to earth and make everything new again! This is the gospel that we preach. Go, and live in grace!